I haven’t known Graham for long, but it’s been long enough to know that I have a minor man crush on him. Graham is internationally renowned for his ground-breaking first ascents all over the world, including the Northeast Buttress of Mt. 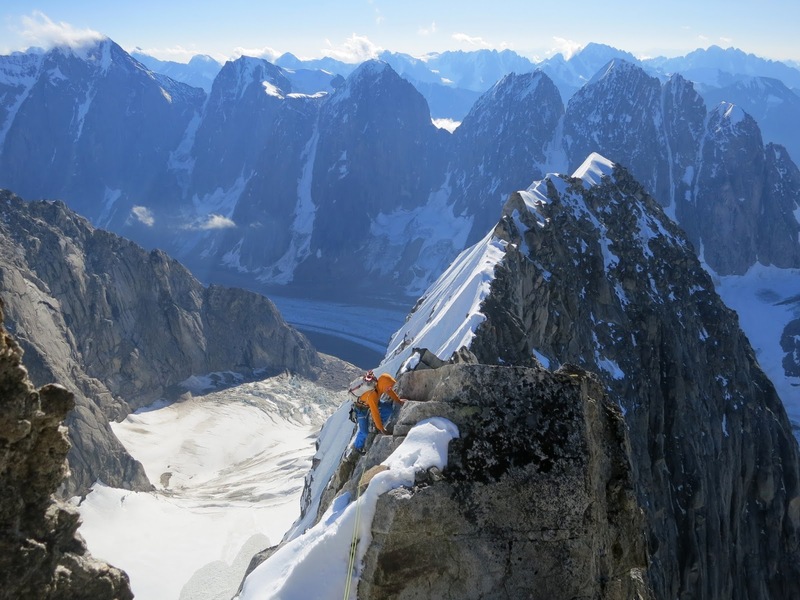 Laurens in Alaska, for which he and partner Mark Allen were considered for a Piolet D’Or in 2014. Yet what draws me to Graham is not so much his prowess in vertical endeavors, but the horizontal coolness that emanates out from him in all directions. 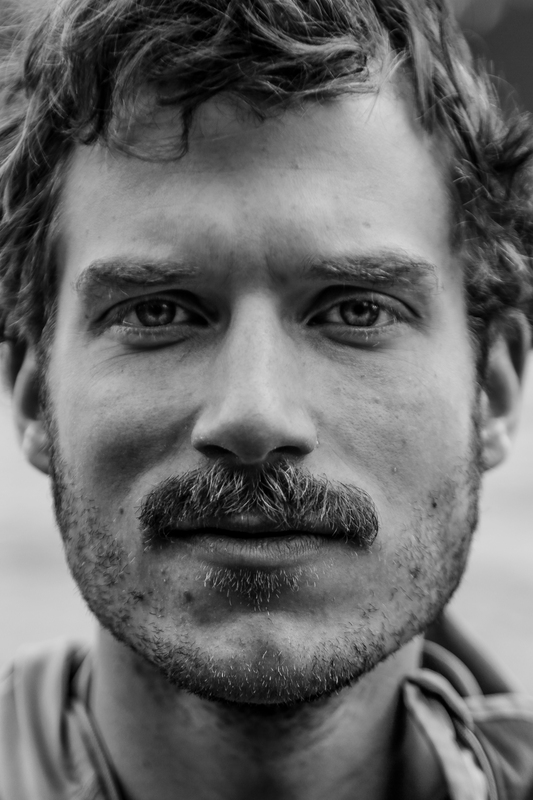 He is a unique gift to professional climbing in so far as his achievements eclipse his ego, and his heart flexes larger than his forearms. To boot, he has an awesome moustache. My computer caught up with Graham’s computer recently for this completely impromptu and candid interview, which has awesome written all over it. FF: Who is a better athlete, you or your girlfriend Shannon? GZ: If one were to look at this question empirically they would see that although I was in the top 5 for the Piolet d’Or (something like the gold medal in alpinism) she and her team Riot actually won the Ultimate Frisbee World Championship. So with that logic she is certainly a better athlete! In truth we participate in sports that are so vastly different that it might not be worth comparing. As for how we compare each other in our relationship, it’s nothing but positive and supportive. I think that we have influenced each other really well by exposing each other to different training techniques and lenses through which to view our training. It’s been super positive and non competitive, very enjoyable. FF: Have you ever tried Ultimate Frisbee? Ball Sports? Are you competitive? GZ: When I was younger I did play Ultimate Frisbee, and in fact took it very seriously. But by the time I was 18 climbing had me hook line and sinker and I’ve not looked back. While it would not be correct to say that I don’t have any sort of competitive nature, I do try to only apply it to myself. This has developed into a love affair with progression in the mountains; learning to climb faster on bigger objectives in lesser known areas. FF: I feel like this interview is getting derailed by my absurd questions, and we only have 10. So, in no less than five sentences, can you tell me what’s your favorite color, and why? GZ: Hmmm… (1)Traditionally I have said the orange/red/yellow of Fall leaves because of the ephemeral nature they represent, and my appreciation for the crisp temps of autumn and the sense of coming winter. (2)But what first came to mind when I read this question was the blues and white of the ice and snow of the alpine during winter. (3) When all of inconsistencies of the mountains are covered and we are left with only the beautiful flowing contours. (4)I think that this also represents to me the care that must be taken in the mountains, for when those inconsistencies are covered so are many of the dangers. (5)This is the balance I try to strike in the mountains; beauty of space and movement through it, juxtaposed with the dangers that we must be very conscious of if we are to survive the experience. FF: Changing the subject, how do you feel about chameleons – like, do you find them trustworthy, or is there something completely unsettling about someone who just puts on whatever colors they want to blend in with their surroundings? GZ: Seeing that a chameleon is a reptile I think that it can be trusted to do what is best for it’s survival in the forest, or desert, or wherever it lives. If we are talking about the Herbie Hancock cut then I think it always trustworthy in the sense that you can always trust it to make you feel funky! Does all of this make me a generally trusting person? FF: Now, imagine for a moment that the Zombie Apocalypse transpired while you are gone on an expedition. You come back only to find that everyone in the world has turned into a mindless consumer of man-made viruses. Everywhere you look, people have these white cords coming out of their ears, and this ghastly glow on their faces from these hand-held screens that keep feeding and feeding and feeding them viruses. Do you go run in horror back to the mountains to save yourself, or do you try to infiltrate the Zombie super-structure by subversively creating your own anti-zombie virus which you release into the mainstream to be consumed by the ravenous content-hungry masses? And let’s keep this to just talking about Zombies, please. GZ: Well seeing that I think that one of the best Zombie movies of all time is ‘The Omega Man’ I would probably see about pulling a Charlston Heston and base myself in a sweet penthouse from which I can try to solve the problem. FF: On a more serious note, is climbing important, and why? GZ:Climbing in it’s own right is not important. What I see as important are inspiration, partnership, love of the environment, and love of physical challenge. For me climbing is simply the best way I know to engage and share those qualities. FF: You’ve been talking a lot about ‘White Wilderness’ lately. Can you tell us a little about that? GZ: White wilderness was a concept that Messner presented in the late 1980s. Simply put it is the idea of reserving sections of the map to leave blank as to preserve a space in which people can engage adventure and exploration. For my own part I recently have been doing some ice climbing in New Foundland which is in many ways just such a place, where a lot of climbing has been completed but very little beta has been shared. 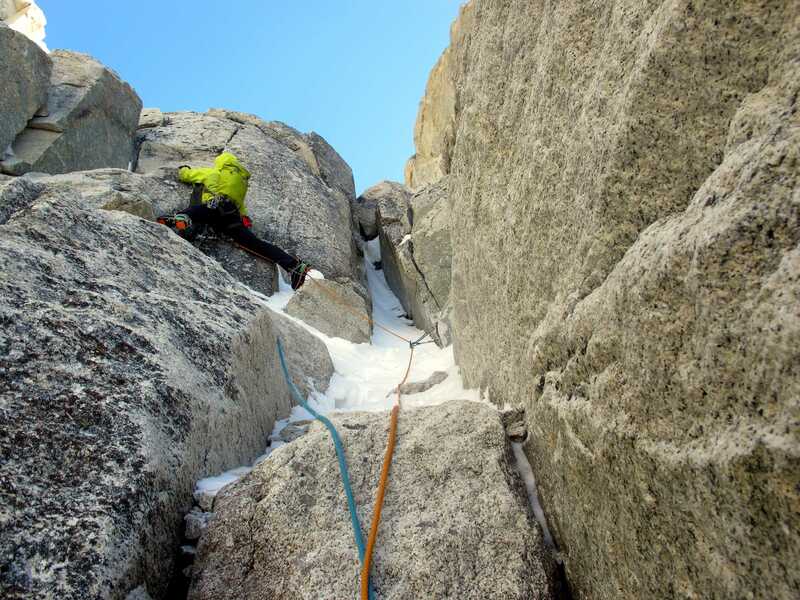 I’ve been recently writing some articles (for example) and completing seminars on the idea of White Wilderness and generally climbing without the plethora of beta that is available. FF: That’s cool and all, but if you had a pet bunny rabbit, would you bring it with you into white wilderness? Wouldn’t you be afraid of losing it? GZ: Probably not…? But honestly I have never really considered the possibility. I might have to think about this and get back to you. Big thanks from Fringe’s Folly to Graham Zimmerman for entertaining our absurd queries. If you like Fringe’s Folly, follow us on Facebook at https://www.facebook.com/fringesfolly. You can read all about GZ and his excellent adventures at http://www.grahamzimmerman.com/. Great interview of a stellar dude.